Fernando was born in France 28 April 1964 and passed away in 2005. Fernando was a key member of Franck’s team from the earliest excavations in 1992. He was one of the principal characters that helped hold the team together with his wonderful character, sense of humour, hard work and skill with underwater videography and photography. 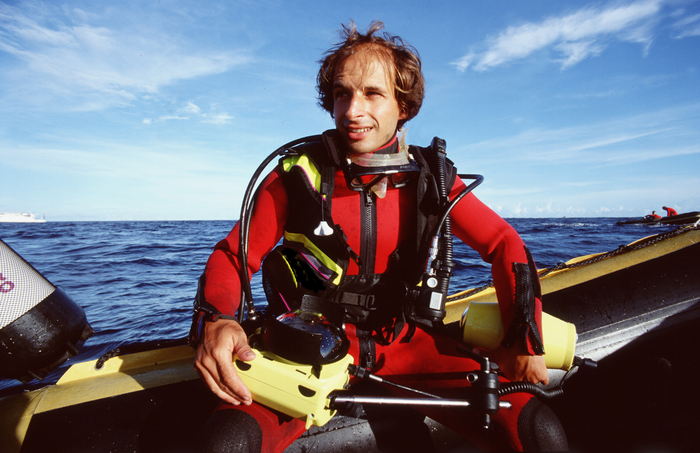 Fernando started diving in 1977 in the French Navy before becoming a commercial diver in 1986. He had experience in all types of diving work, including oilrigs, commercial salvage, bridge, port, and dock construction, etc. As well excavating alongside other team members, Fernando specialized in underwater video and still camera work for our projects. His Footage has been seen world wide on documentary films on the Discovery Channel. Like other members of our team, Fernando's joy at the discovery of the artefacts was not for their beauty or rarity. Instead he liked everyday objects, such sewing needles or a shoe from the shipwreck of L'Orient, Napoleon's flagship ot the Battle of the Nile, for what they told us about life in the sites or ships that he excavated. "We're discovering history!" When Fernando passed away in 2005, his absence left a hole in our team and is still greatly missed. A few years after his death, Fernando’s nephew Yoann, had gained enough experience in diving and was able to join the team: he is our link to our departed friend.